Today’s nail art I created a simple look that is sweet and girly. 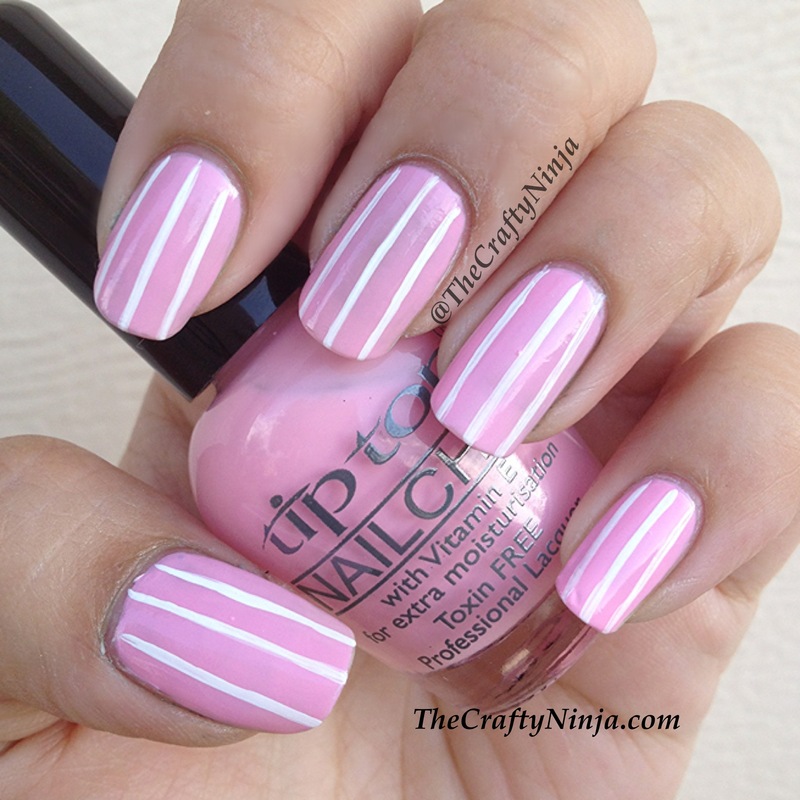 I am using my Tip Top Nail Chic Melting Marshmallow, the perfect pink polish. Here is my tutorial for this Stripe Dot nails. 1. Paint a stripe in the middle, using Stripe Rite in white, purchase here. 2. Then add two stripes on the side. 3. 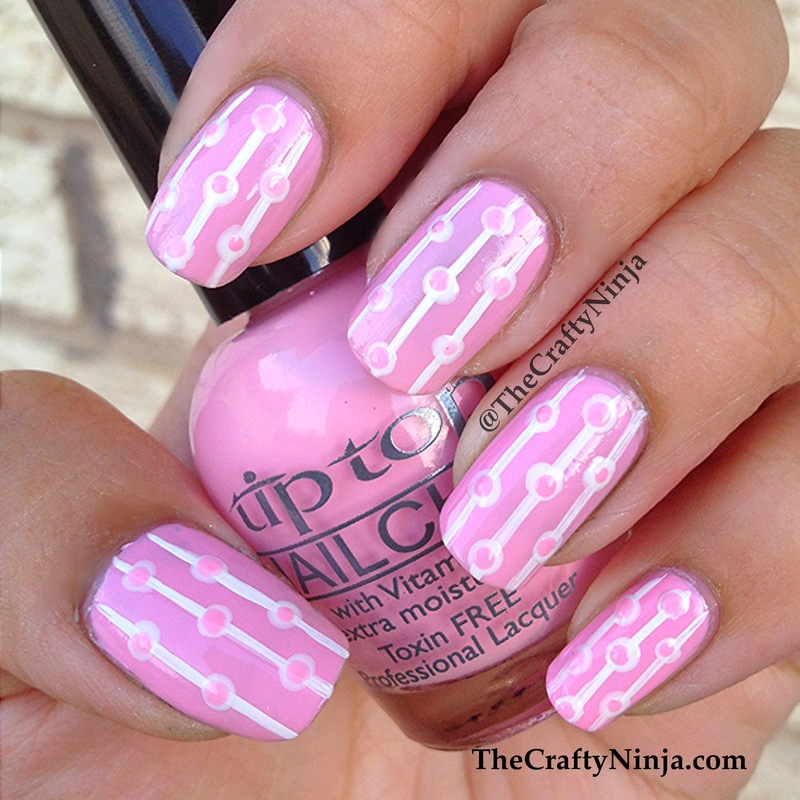 Using a Nail Dotting tool, purchase here, and white nail polish, add a dot in the middle of the middle stripe. 4. Add two more close to the top edge and bottom edge. 5. Add dots to the side stripe, make sure the dots are in between the middle dots. 6. 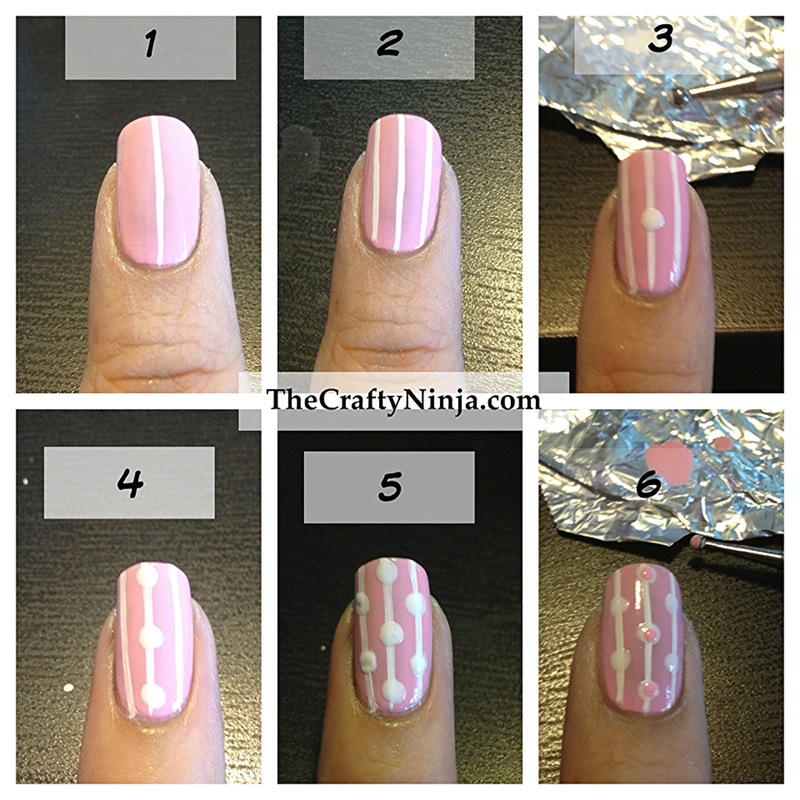 Using the same Pink nail polish add smaller dots in the middle of all the dots.